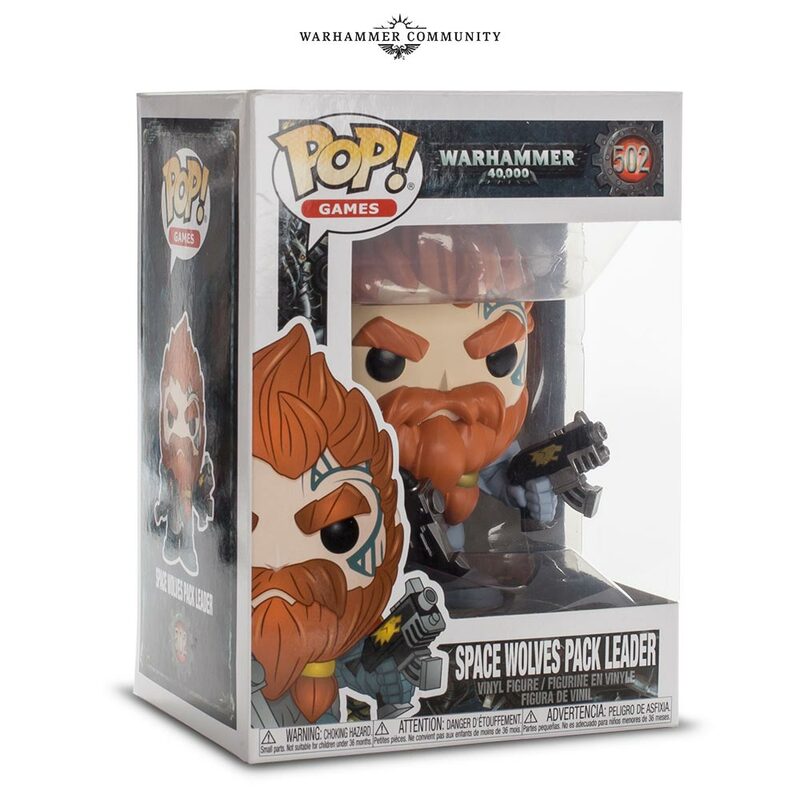 Games Workshop are in attendance at the New York Toy Fair this year, bringing with them a small host of new products as well as some updates regarding already existing product lines. Most notably, and to nobody’s surprise, their Warhammer 40,000 and Age of Sigmar were the primary focus of what was shown. Let’s have a look through our officially sanctioned, and not at all heretical, administratum data slates to see what’s coming down the pipes. Starting out strong,GW announced their new close combat boxed game, Combat Arena. 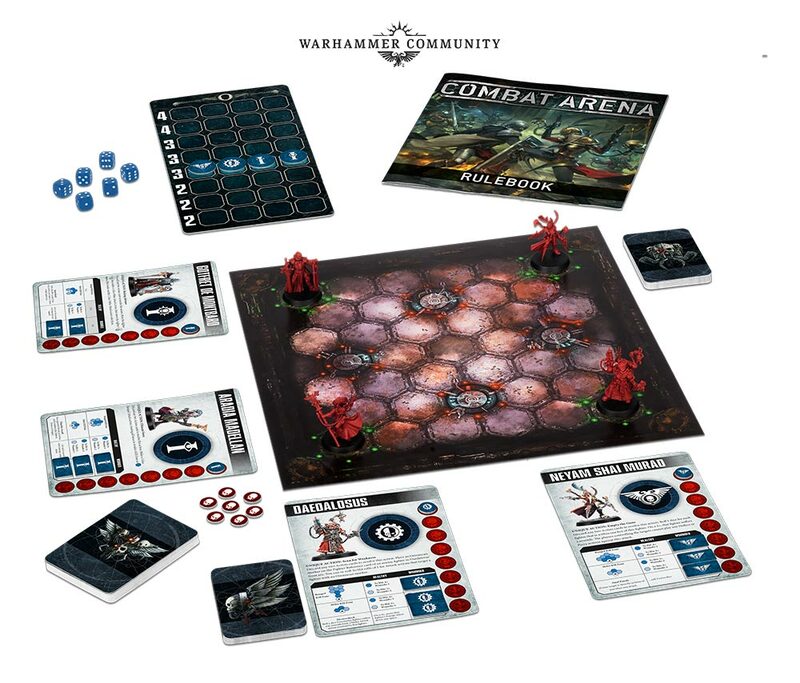 Combat Arena is a “fast paced miniatures combat game” for 2-4 players with a 30-45 min play time. For all intents and purposes, Combat Arena is a reskin of 2016’s Warhammer Age of Sigmar Gorechosen that has been ported over to the 40K setting with the appropriate variety of miniatures. 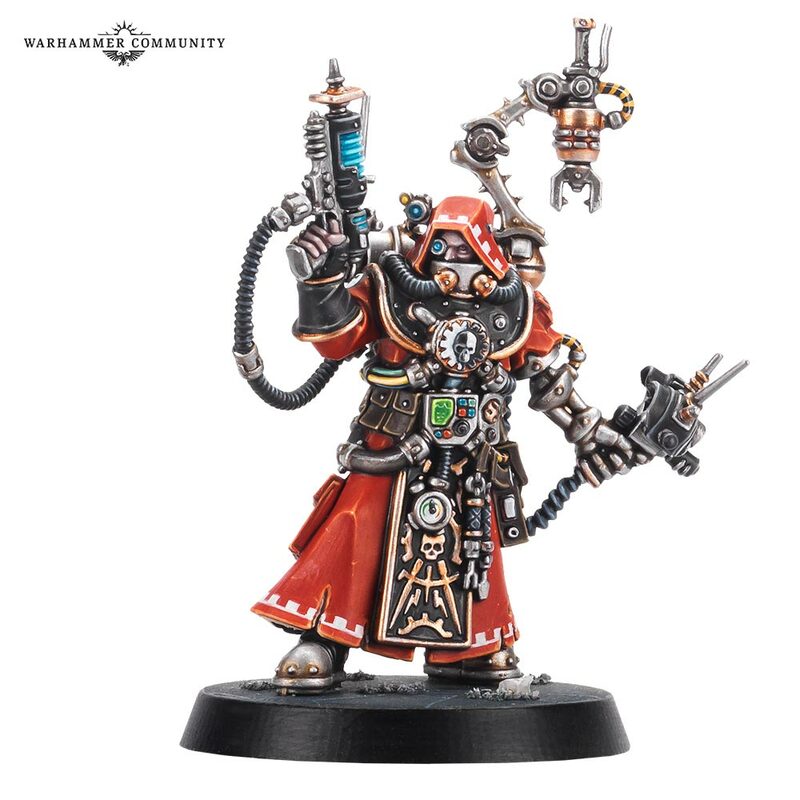 Stepping into the Combat Arena, you’ll be able to play as Inquisitorial Crusader Gotfret of Monbard, Tech-Priest of the Adeptus Mechanicus Daedalosus, a heavy Servitor (who may be under the control of Daedalosus), the Imperial Primaris Psyker Aradia Madellan, and last but not least, the Rogue Trader Neyam Shai Murad. 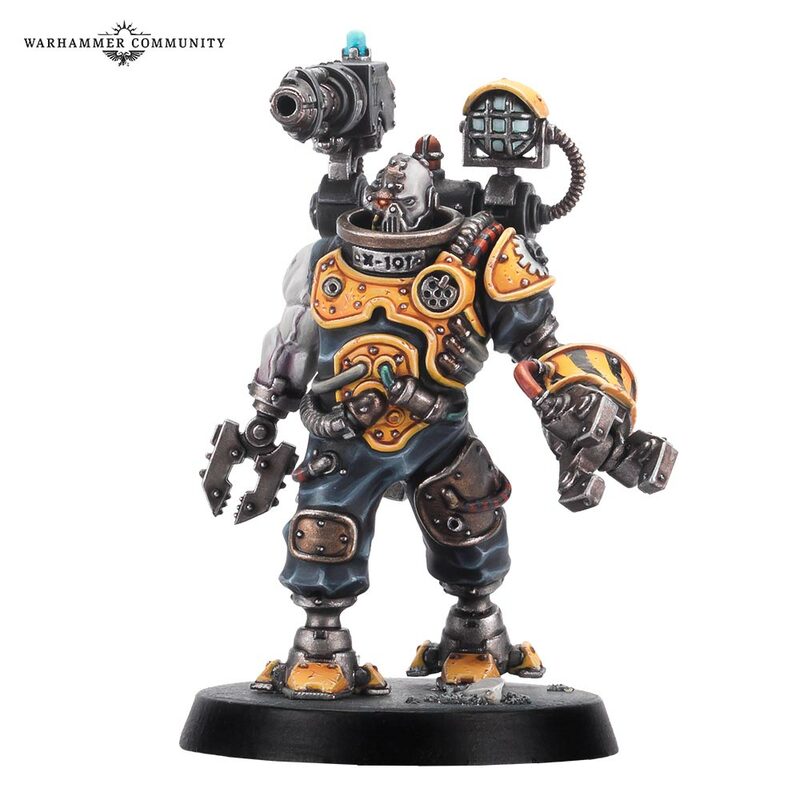 What caused these unique combatants to cross paths isn’t currently known, but it has been confirmed that this boxed game will be a prequel to Blackstone Fortress. 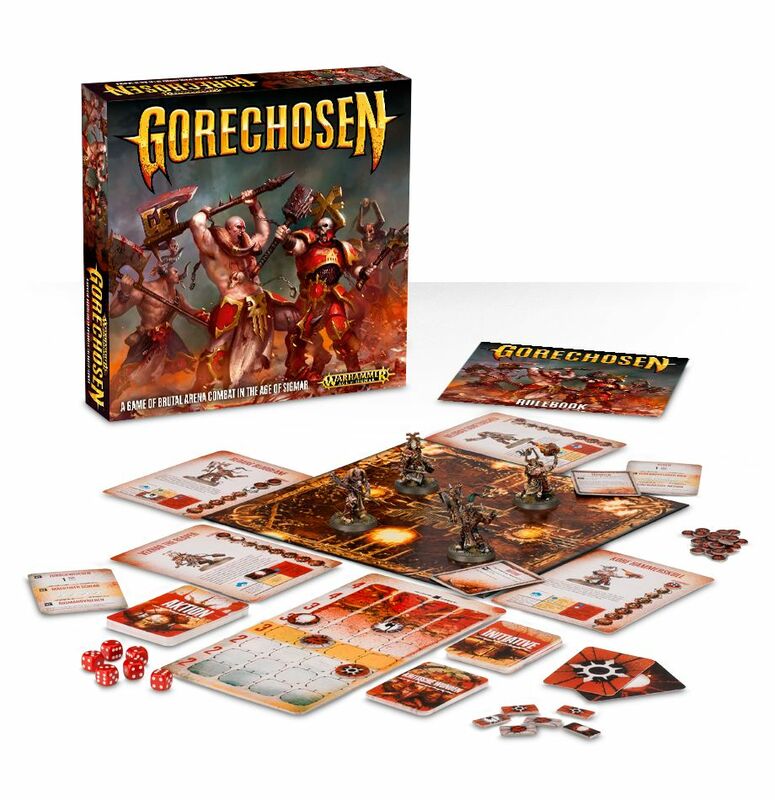 It’s safe to assume that each character will have a unique playstyle, as was the case with Gorechosen, so there’s going to be plenty of fun to be had. This will most likely be something I’ll be picking up. I do love a good boxed game. 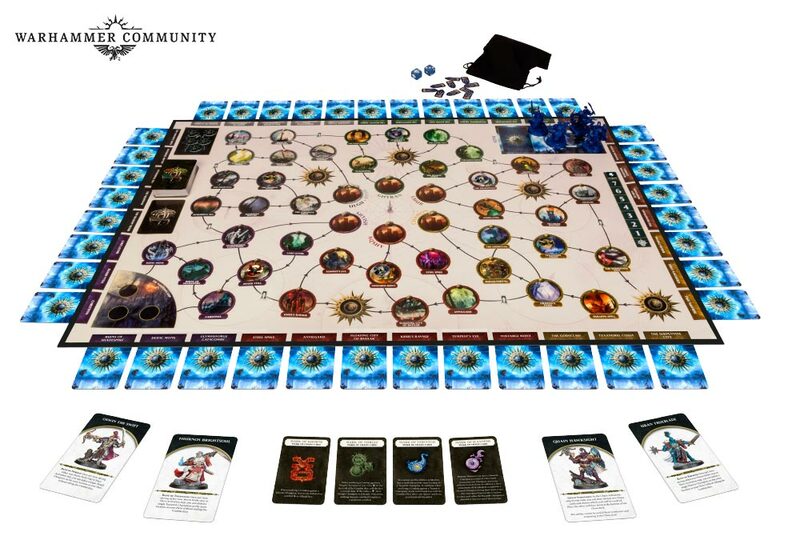 Stormvault is a 2-5 player cooperative adventure board game that takes place in the Warhammer Age of Sigmar setting. 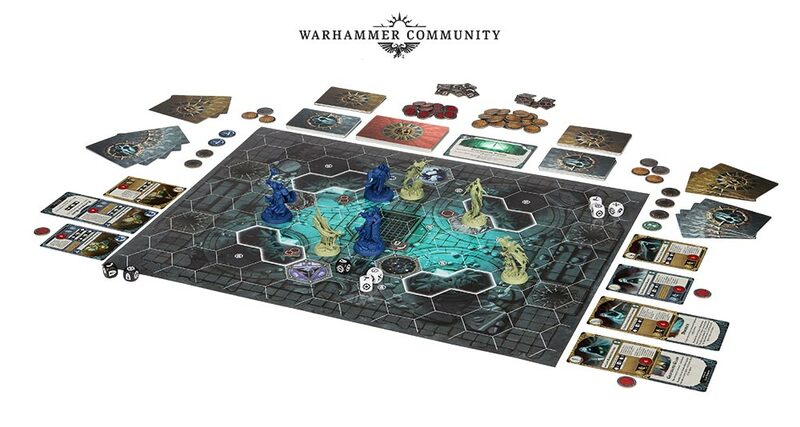 Set in the Mortal Realms, the game asks the players to adventure across the board while assuming control of one of four Stormcast Eternals as you seek out glory, find treasures and slay beasts that cross your path. With built in optional difficulty modes, GW claims that “there are hours of replayability in this box,” thanks to each of the Stormcast Eternals each having their own playstyle and special abilities. Readers with a particularly sharp eye may have noticed that, like Combat Arena, this game is a reskin of a previously released GW title, 2018’s Lord of the Rings: Quest to Mount Doom. 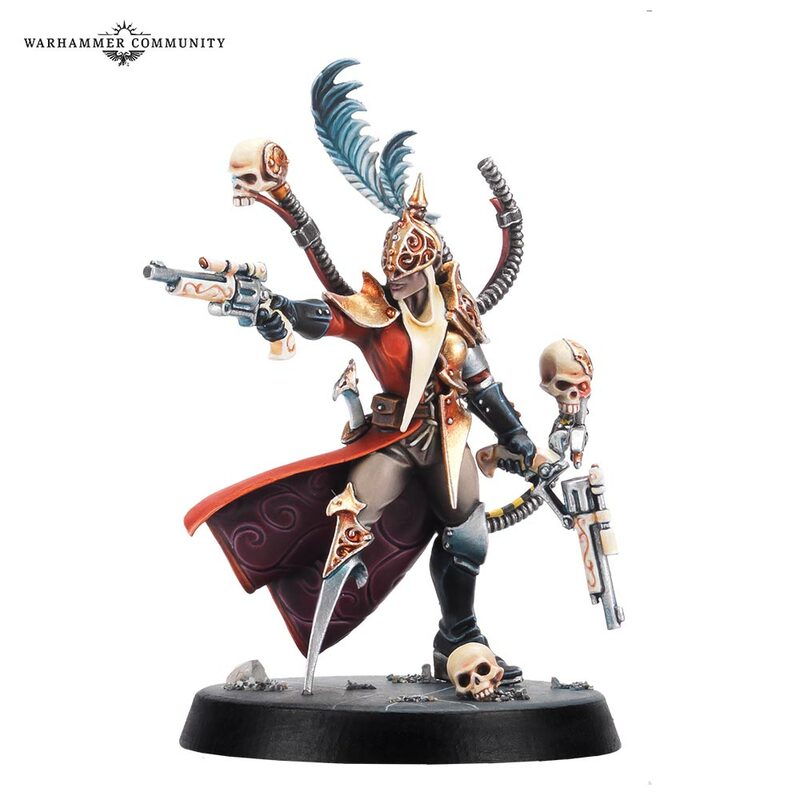 At launch, the miniatures included in the box will be exclusive warbands, only attainable through purchasing Dreadfane, but as with prior sets, GW plans to release these warbands individually at a later date. The warbands are known as Ironsoul’s Condemnors and Lady Harrow’s Mournflight. Once you’ve got to grips with these new warbands, they can be taken over to Warhammer Underworlds in-proper to join the main game. 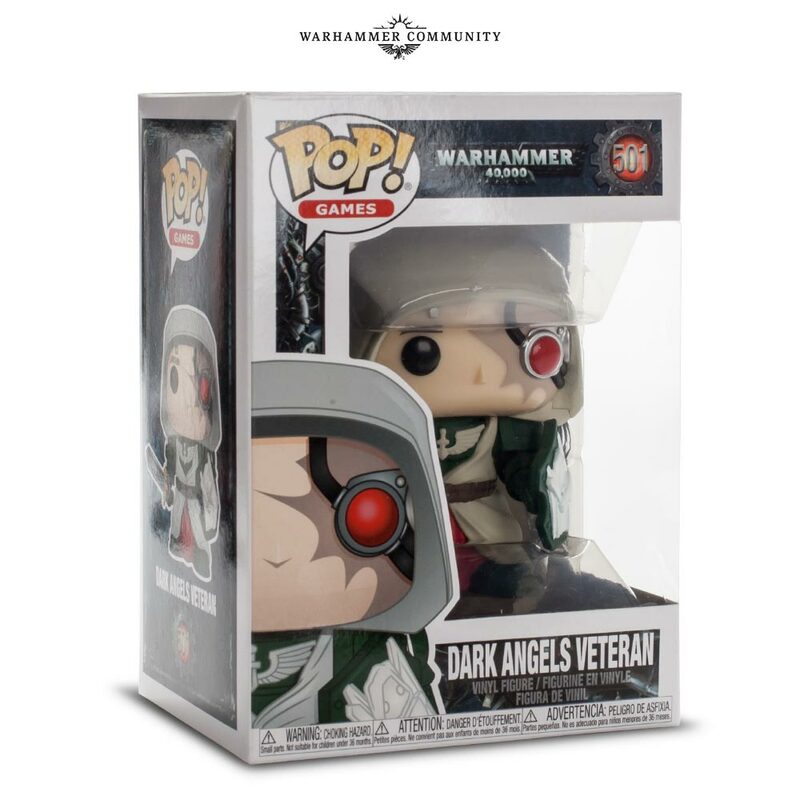 In the grim darkness of the far future, nothing is sacred. Alas, even the mightiest of the Imperium’s Warriors have been defeated by the marketing machine. 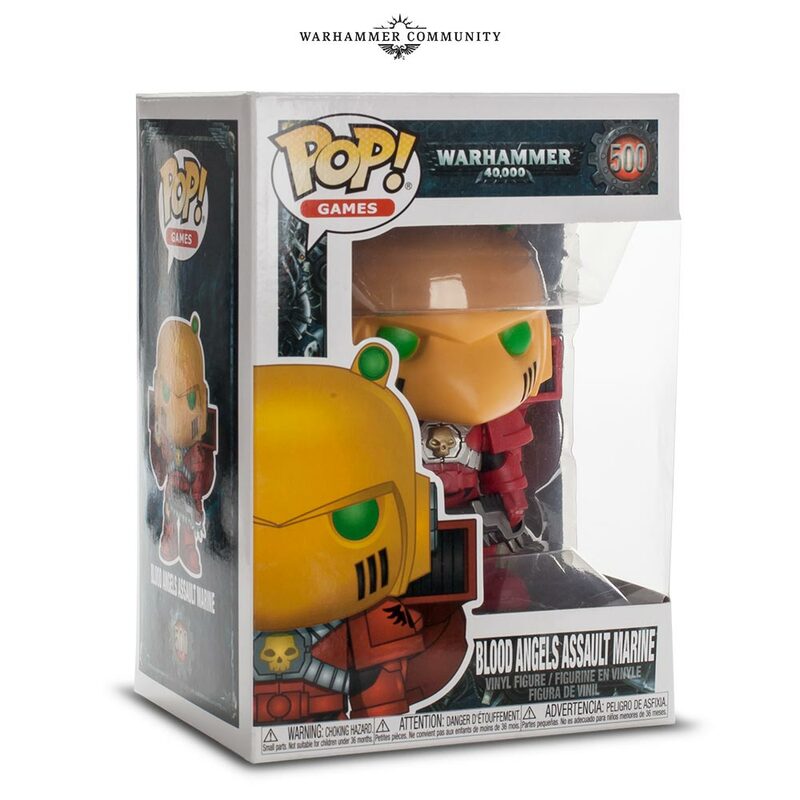 As you may have heard elsewhere, the forces of the Adeptus Astartes have joined the ranks of the Funko POP! Legions. 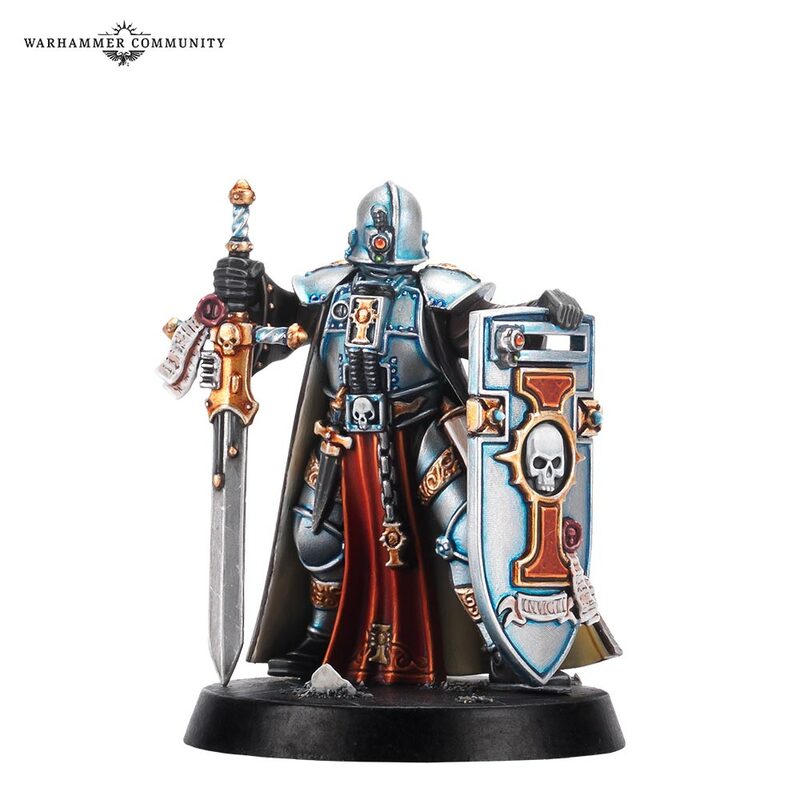 As you can see above, even the lauded Ultramarines have fallen victim to the over-large heads and huge dead eye(lenses) that has become so recognizable. Not only the Ultramarines, but the Sons of Russ, the Sons of the Lion, and the Sanguine Angels themselves. Moving onwards, Space Marine Heroes Season 2. Heroes of the Space Marines Season 2 is finally getting a more global release, initially only being available in Japan. Season 2 includes some awesome Unique Terminator Miniatures. Cast in red plastic, they are easily turned into Blood Angels with little work, but they’re at their best when properly painted up to match your Chapter/Legion of choice. Heroes of the Space Marines Season 3 has also been confirmed, but nobody knows what it may contain just yet. 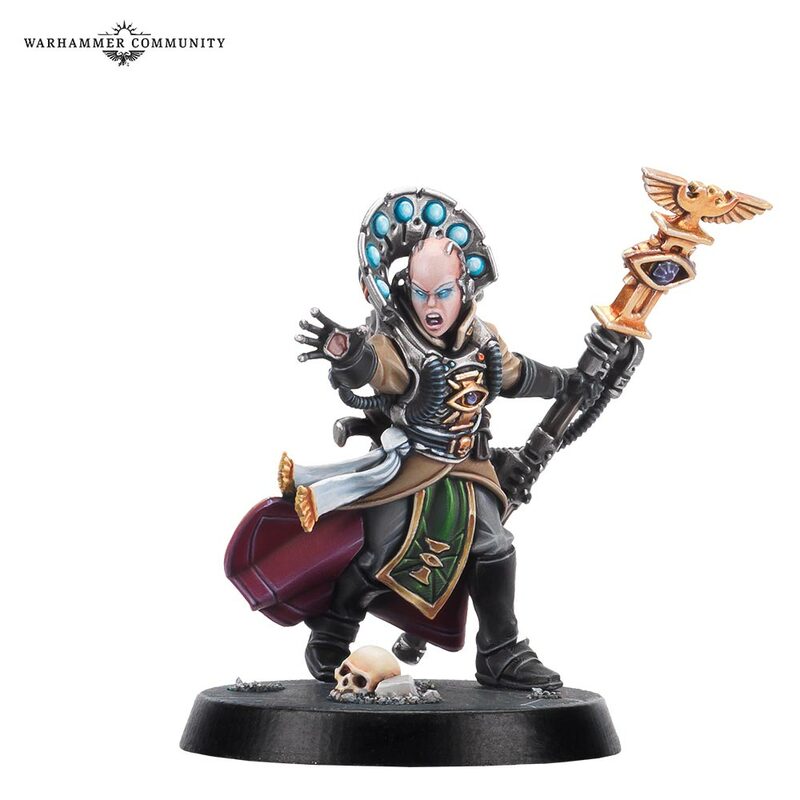 Hyped for the models from Arena. Curious to see if any will get a port over to core 40k. Especislly the new Crusader would be a nice update to the current model. One thing of note with Heroes Season 2: these Terminators are actually true scale and a fsir bit taller than normal ones. Makes them look far better standing next to Primaris models and especislly their newly updated snd up-scaled Chaos brethren. Wasn’t the NY Toy Fair two months ago?